After teasing their return a week ago, As I Lay Dying have returned with a new song, marking their first release since frontman Tim Lambesis went to prison over a murder plot to kill his wife. Titled "My Own Grave," the band uploaded the track to Facebook paired with an accompanying set of visuals. You can hear it in the player below. The band also announced that their first comeback show will take place June 16 at Soma Sidestage in San Diego, CA. 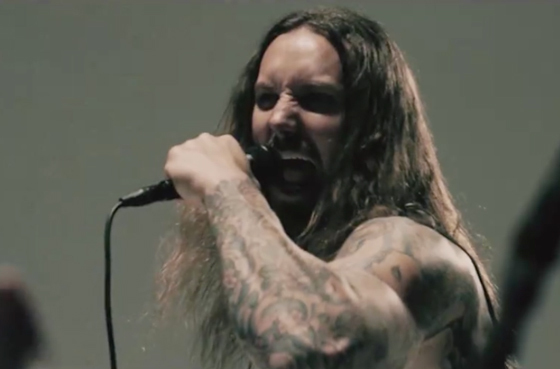 "My Own Grave" marks the reunion of the group's "classic" lineup, featuring Lambesis, guitarists Nick Hipa and Phil Sgrosso, bassist Josh Gilbert, and drummer Jordan Mancino. As previously reported, Lambesis was sentenced to a lengthy prison sentence in 2014 for an attempted murder plot on his wife. Last year, Lambesis shared an apology for his actions, writing, "there is no defense for what I did." However, the band have remained silent in the lead-up to this new track — something that is not sitting well with many in the metal community. During Lambesis' incarceration, the band's remaining members delivered two full-length LPs as Wovenwar.